The Greater Poweshiek Community Foundation (GPCF) has welcomed three new members to its board of directors as the foundation concludes another successful year of fundraising and leading community projects. Connie Scurr, controller for Interface Sealing Solutions; Vickie McDonald, office manager for Manatts, Inc.; and Barb Baker, director of advertising and community relations for Grinnell Mutual Reinsurance Company have been appointed to four-year terms on the GPCF board. They replace Drake Community Library director Marilyn Kennett who completed two consecutive terms, and Grinnell College development officers Shane Jacobson and Vince Walker who have moved from the community. GPCF board members, along with GPCF staff, create an annual work plan and goals for the foundation, establish priorities for the organization’s ongoing work and presence in Poweshiek County, and review new projects with partner organizations. Each board member also serves on at least one of the foundation’s standing committees: development and marketing, finance/audit, grants, governance, investment, and executive committee. In 2017, the GPCF board facilitated discussions with legislators about the impact of the Endow Iowa tax credit; created a business partners in philanthropy program to engage businesses to help support foundation operational costs; managed significant growth in the Tiger Packs program; administered over $550,000 in state grants for early childhood education; directed approximately a half million dollars in grant distributions, program expenses and scholarships across Poweshiek County and supported four capital campaigns. 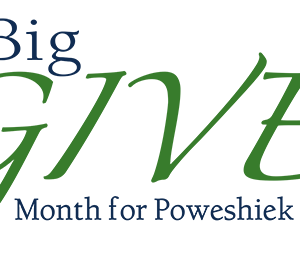 Also in October 2017, Big GIVE raised more than $190,000 in support of 50 funds. The GPCF Board is matching up to $3,000 in gifts to endowed funds through December 31st and the board will also pledge $25 for every new donor’s gift which will be accredited to the fund of the new donor’s choice. Contributions to GPCF endowed funds may be eligible to receive an additional Endow Iowa Tax Credit. Donors seeking the tax benefit of a year-end contribution should contact Brua-Behrens or Blanchard at GPCF at 641-236-5518 before December 31. 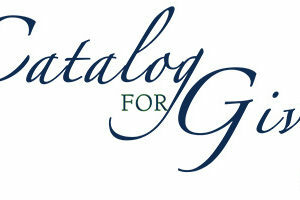 Contributions can be made online or checks can be sent to GPCF, P.O. Box 344, Grinnell, Ia., 50112 or dropped off at the Foundation Office, 1510 Penrose Street. The office is open Monday through Thursday from 9 am to 3 pm and there is a drop box located outside the building. Individuals interested in committee service should contact Brua-Behrens or Blanchard. Greater Poweshiek Community Foundation partners with the Claude W. and Dolly Ahrens Foundation through the Community Support Services (CSS) program in order to assist and support donors and nonprofit partners.